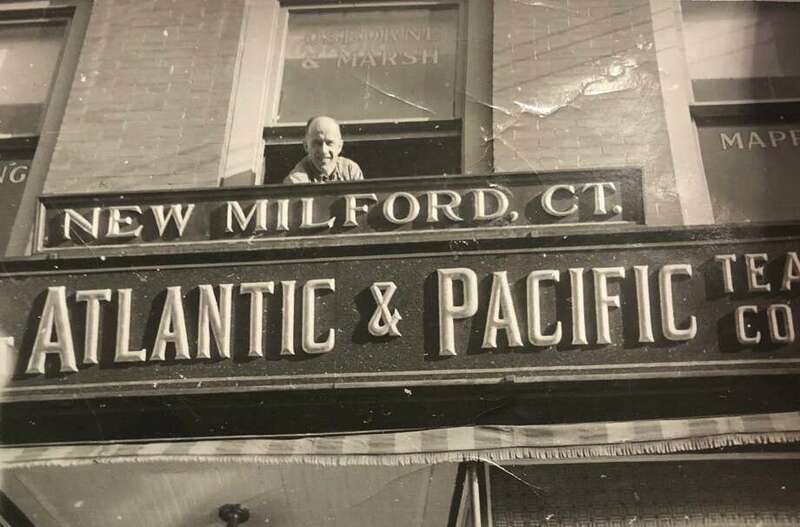 The Great Atlantic & Pacific Tea Company, commonly known as A&P, had a home on Bank Street in New Milford for many years. In 2015, after 156 years in business, the American chain of grocery stores ceased supermarket operations. At one time, A&P was the largest grocery retailer in the United States. Locally, it was a popular place for residents of the community to find what they needed for their homes. The local A&P moved from Bank Street to 132 Danbury Road (Route7) - where The Abbey and Royal Buffet are located today - about 60 years ago. Above, Charles Osborne greets passersby of Bank Street from above the A&P, which now serves as home to the Natural Marketplace. If you have a “Way Back When” photograph you’d like to share, contact Deborah Rose at drose@newstimes.com or 860-355-7324.